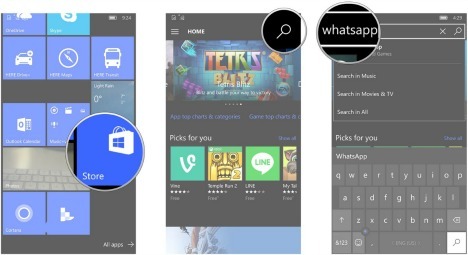 First, go to Windows Store from device home screen or from All apps. Next, tap the search button on the top right of the screen. 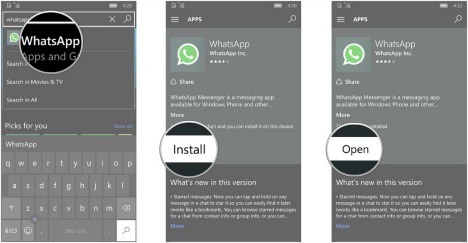 Click Install button to download WhatsApp application to Windows 10 mobile. 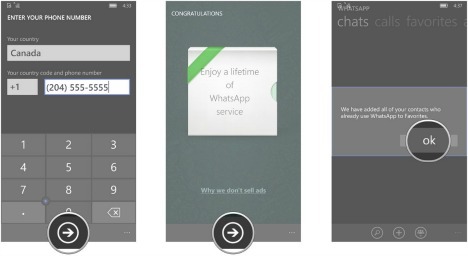 Launch WhatsApp from the start screen. Click agree and continue at the bottom of the screen. Once done, tap the field under “Your country” and select the country. 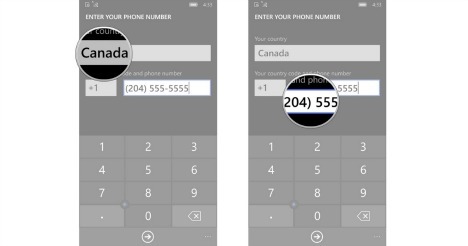 Enter phone number in the field beneath “Your country code and phone number”. After fill in the country code and phone number, tap the next button at the bottom of the screen. Tap the next button at the bottom of the screen. 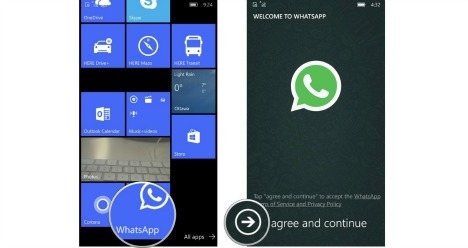 Next, click OK and then WhatsApp will automatically add all of the contacts who also use WhatsApp from your Windows 10 mobile to WhatsApp account. Now you can add contacts, send messages and media around the globe anytime so long as connected to the internet.